I have recently fallen in love with MUFE products: they are reasonably priced and are of great quality. 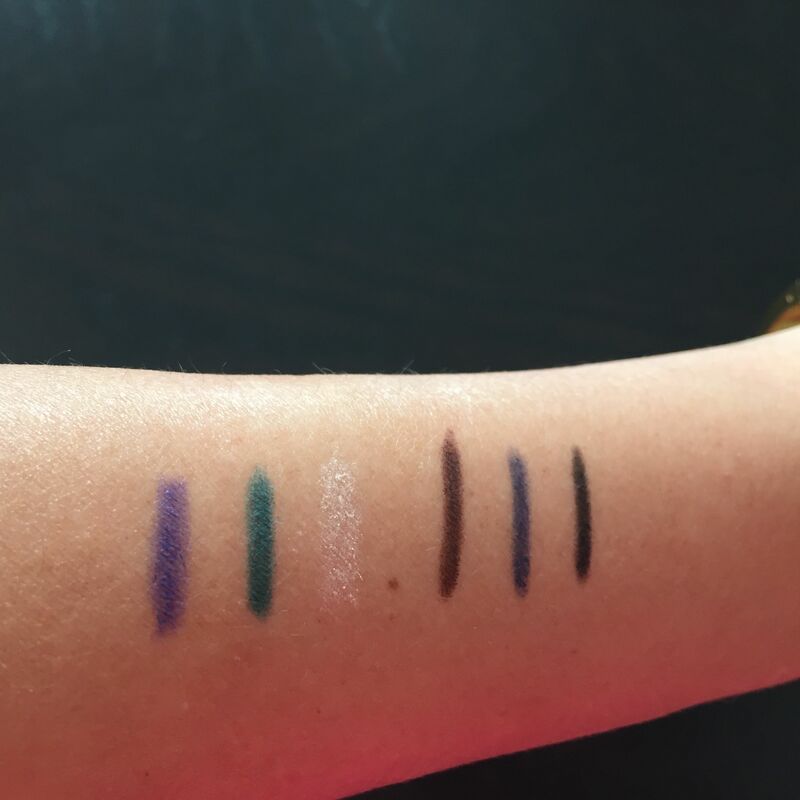 The purchase of the eyeliners set was especially awesome because it was an absolute steal: I got 6 eyeliners (3 regular sizes and 3 minis) at at amazing price of $27 and couldn’t be happier with it. 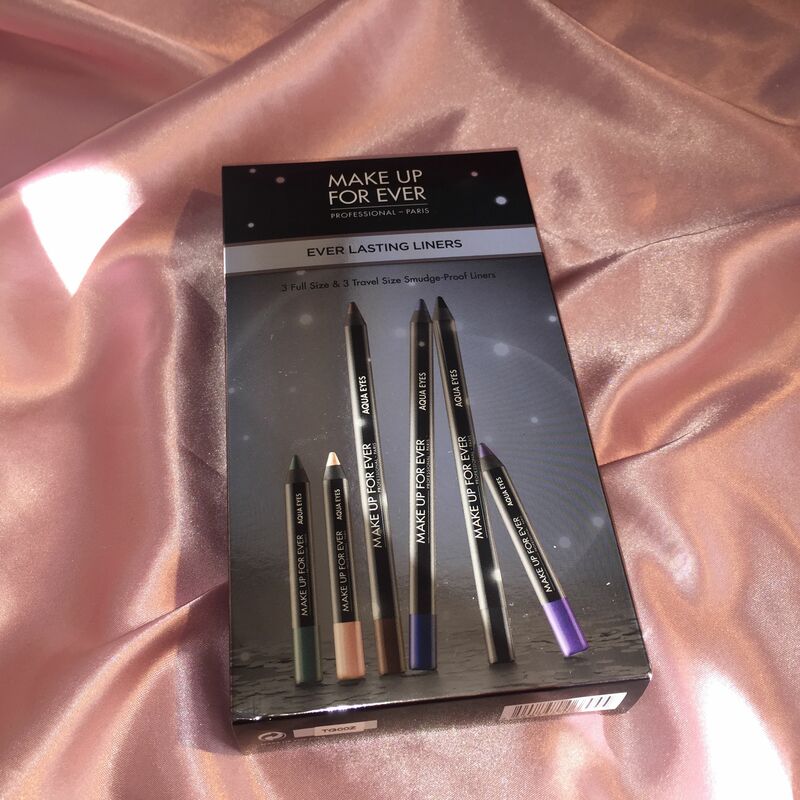 Unfortunately, this set is now out of stock (I understand it was a holiday promo) but you can still buy eyeliners individually at Sephora. 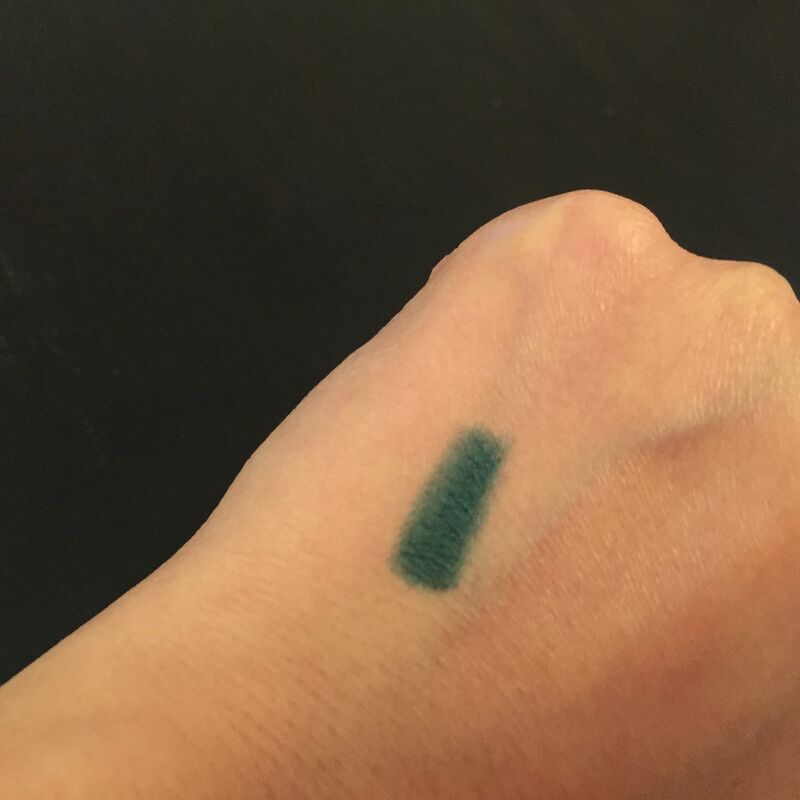 They are called MUFE Aqua Eyes and cost $19 each (you get now why I was excited about $27 for a set!). 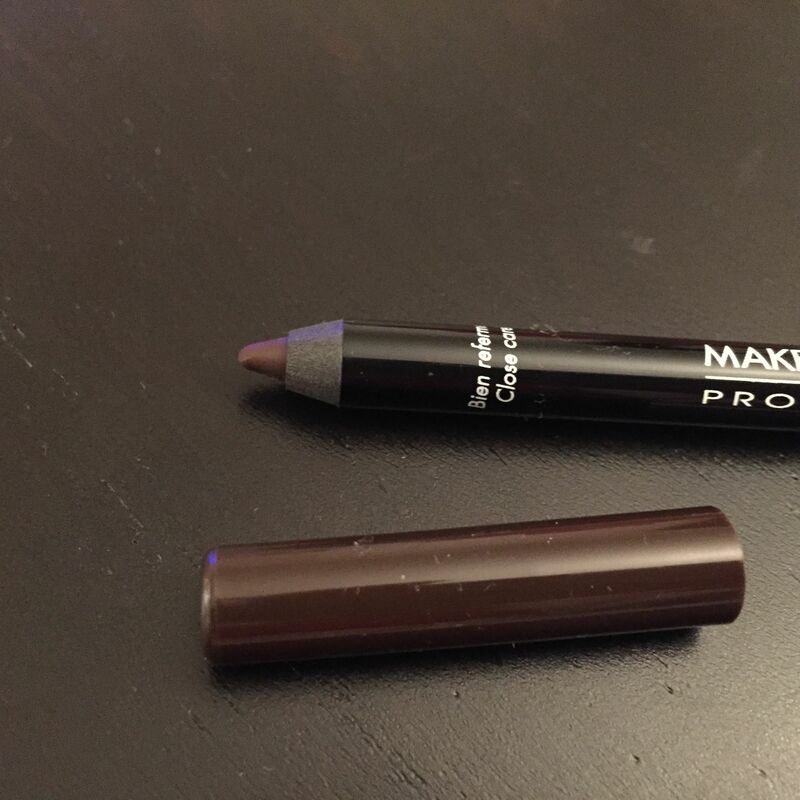 Nice rich dark brown which will work greatly with all pink and brown eye shadows. 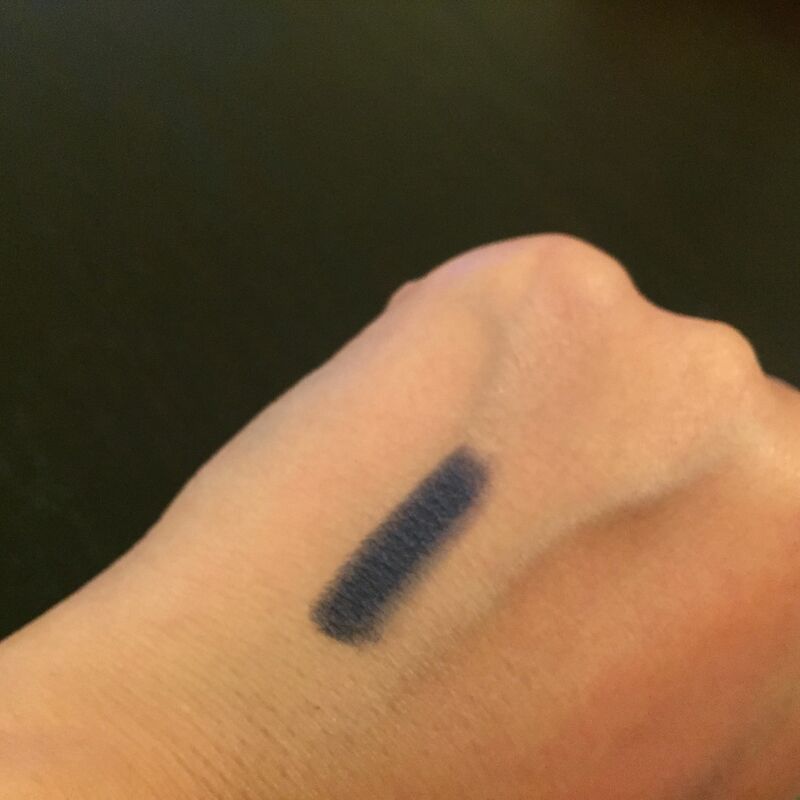 Rich navy with a bit of shimmer, not too dark though, will be great for an evening makeup or a day at the beach or on boat. 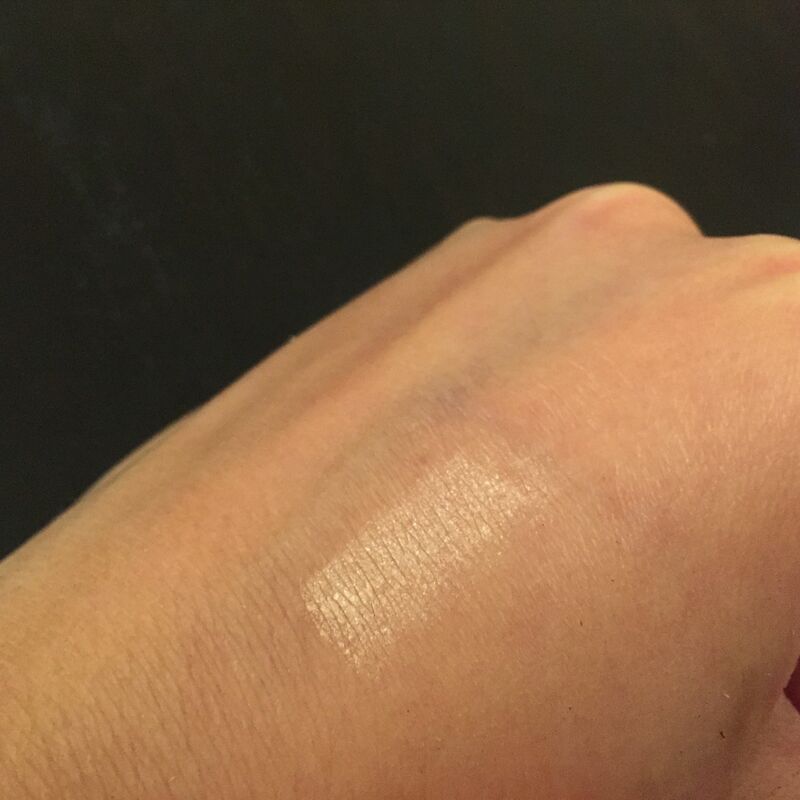 This is only truly shiny color – it’s very light, subtle, with slightly golden undertone. Will be cool for a night at the club. I like that it’s a mini because I don’t see myself wearing it often. I love darker shades of purple and this is not an exception. 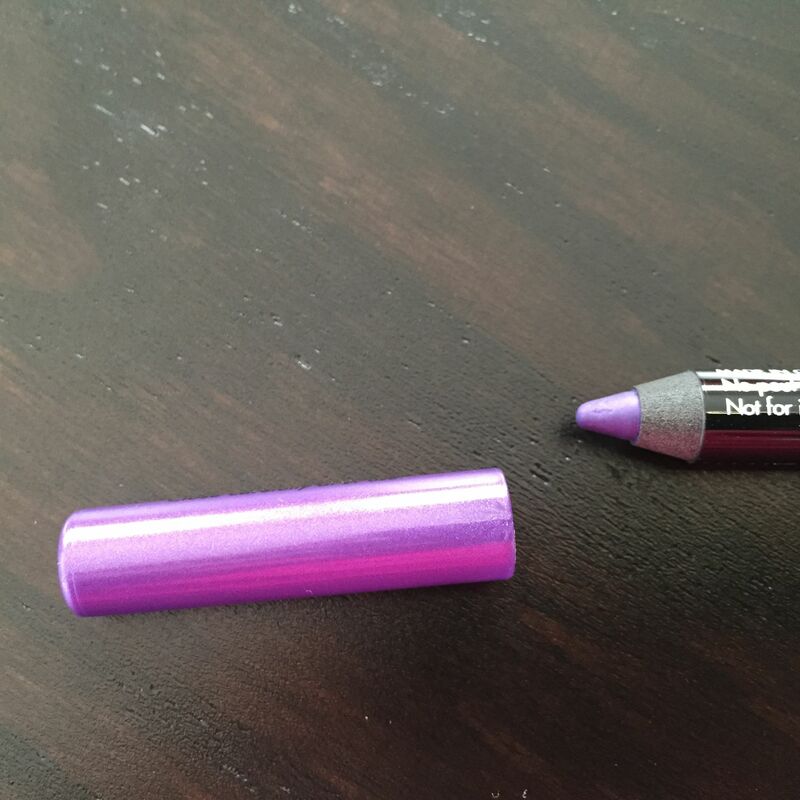 It is ink-purple with metallic shine – beautiful. This color will be suitable for every occasion. 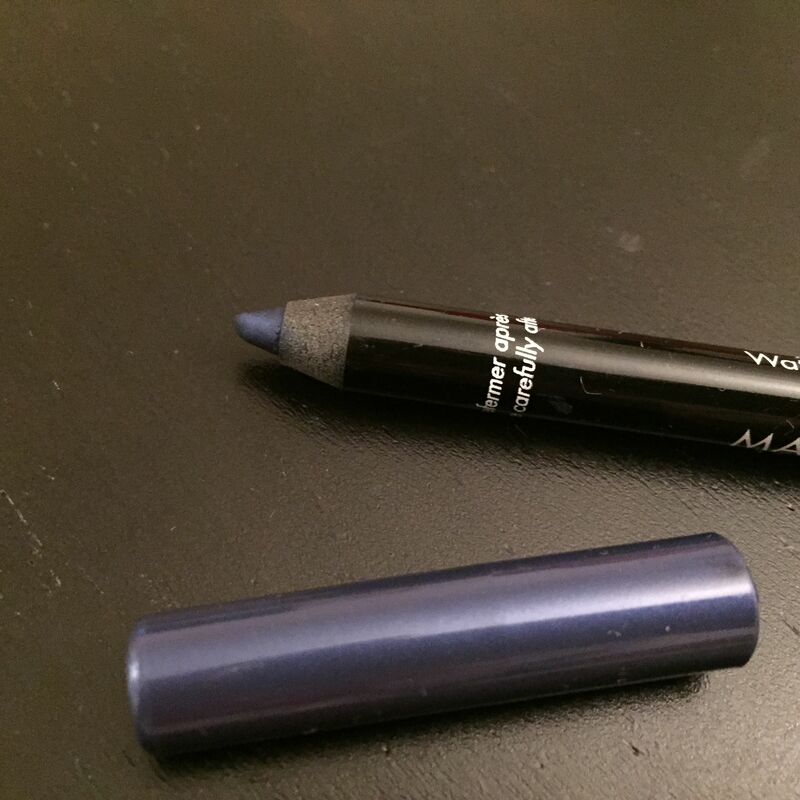 Will work very nicely with pink and purple eye shadows. I wish it came full-size. 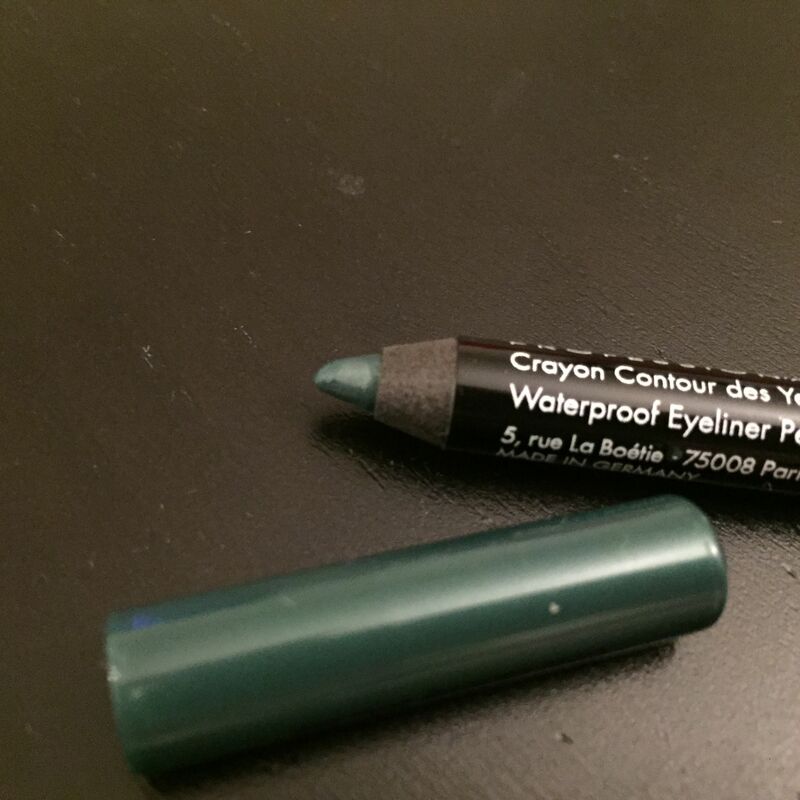 This is a rich deep iridescent green, the color reminds of classic Hunters. 🙂 It’s very nice and will be cool for spring/summer time. 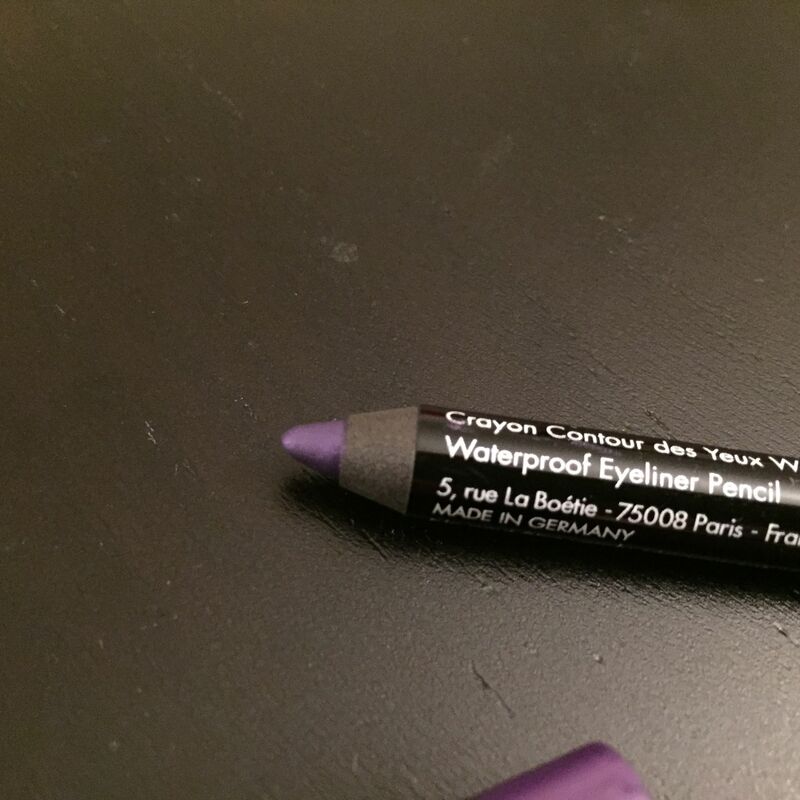 It’s definitely not an everyday color (unless you work at Starbucks) but nevertheless a great thing to have in your eyeliner collection. 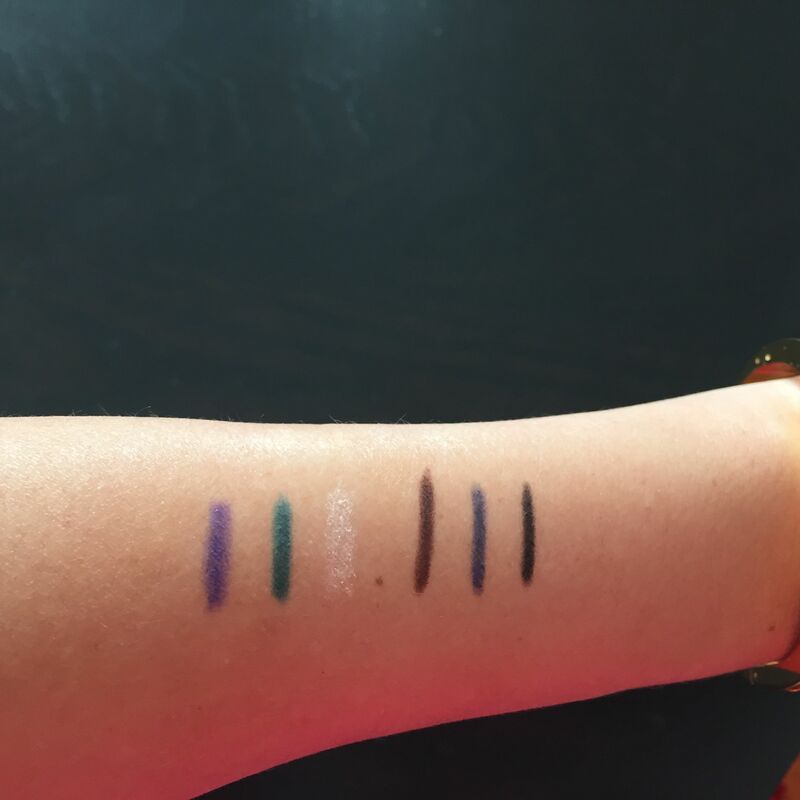 I would wear it alone – all other eye shadows will probably clash with it. All colors are quite stunning – rich and saturated. I have brown eyes and each color works perfectly for me. 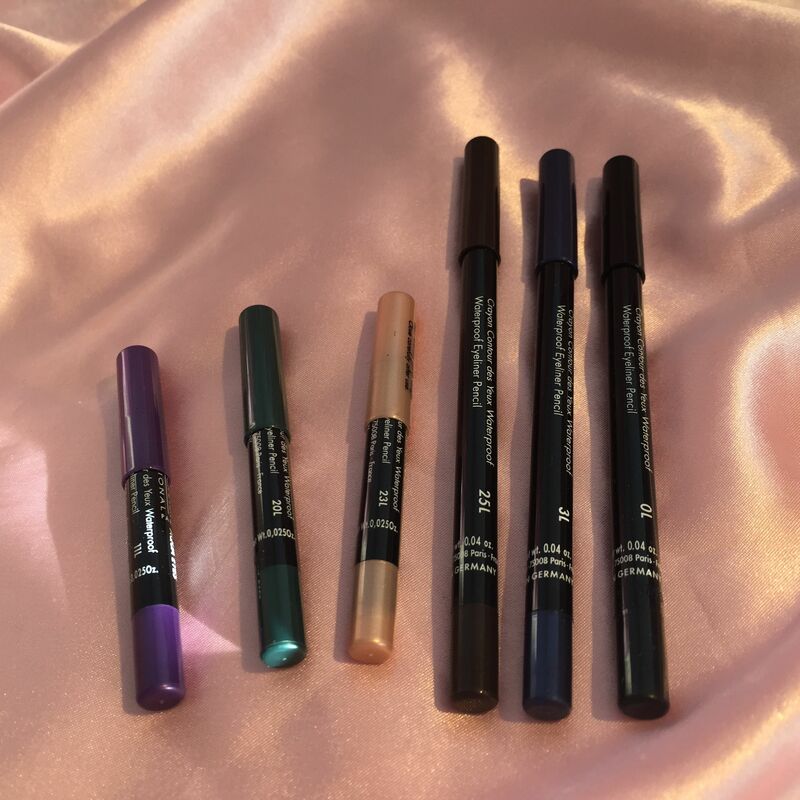 These eyeliners glide on easily and don’t smear – so they are very easy to apply. 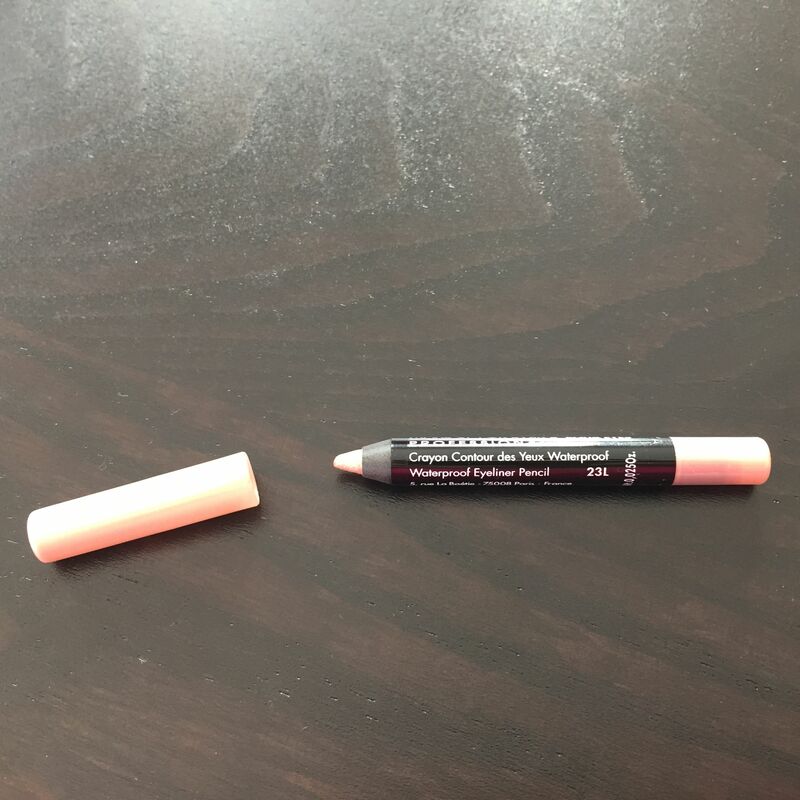 I bought this eyeliner in 0L before and couldn’t be happier with results – I use it more than any other black eyeliner I have. 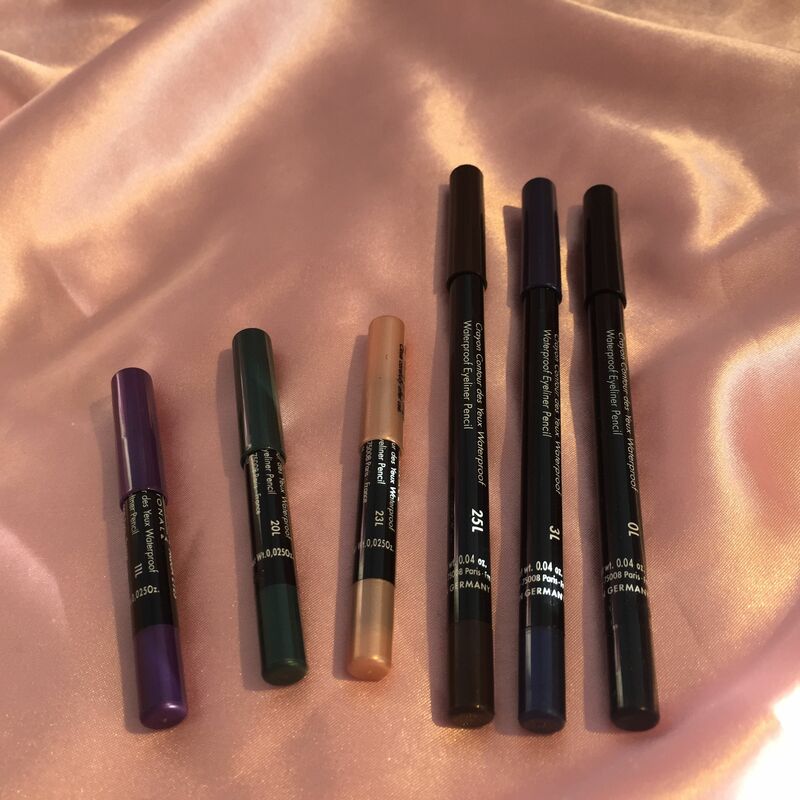 However, the most amazing of each eyeliner in this set is that all of them are literally ever lasting and 100% waterproof . 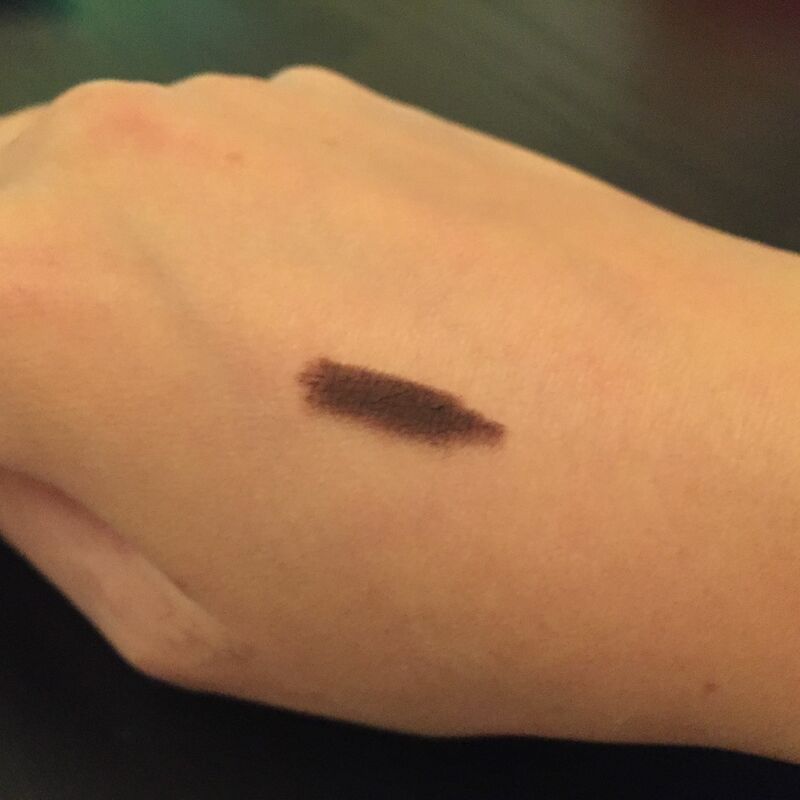 Today I did an ultimate test: after taking pictures, I tried to take it off from my arm with paper towel – I literally scrubbed my skin but not a bit of eyeliner smeared. Then I washed my hands – everything stayed in place. 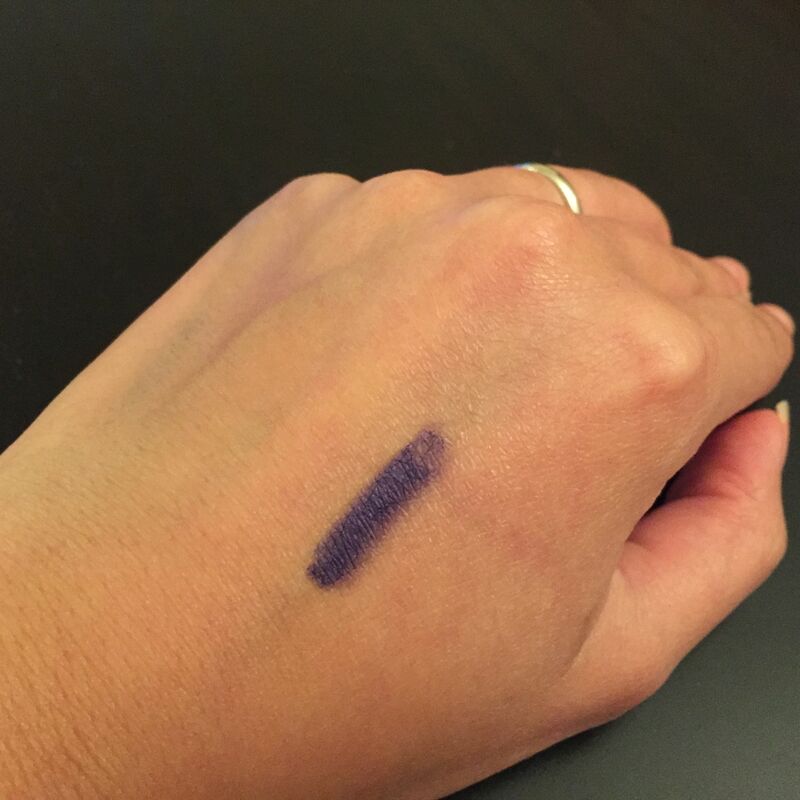 Then I put on a sweater and after wearing it for a few hours, checked my arm – all six colors still looked fresh and vibrant. 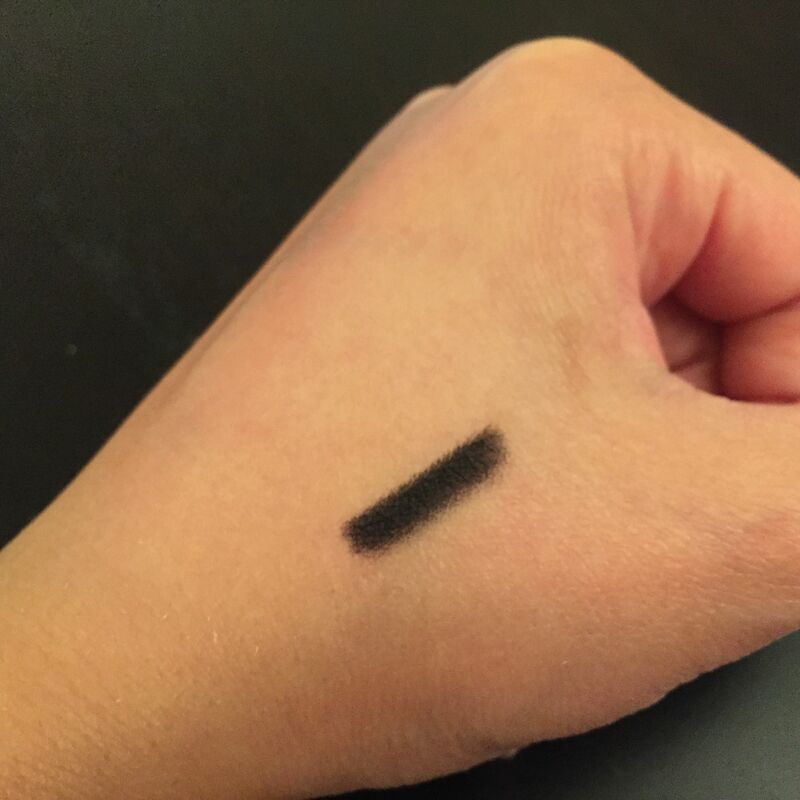 The only way you can take this eyeliner off is with the eye makeup remover. 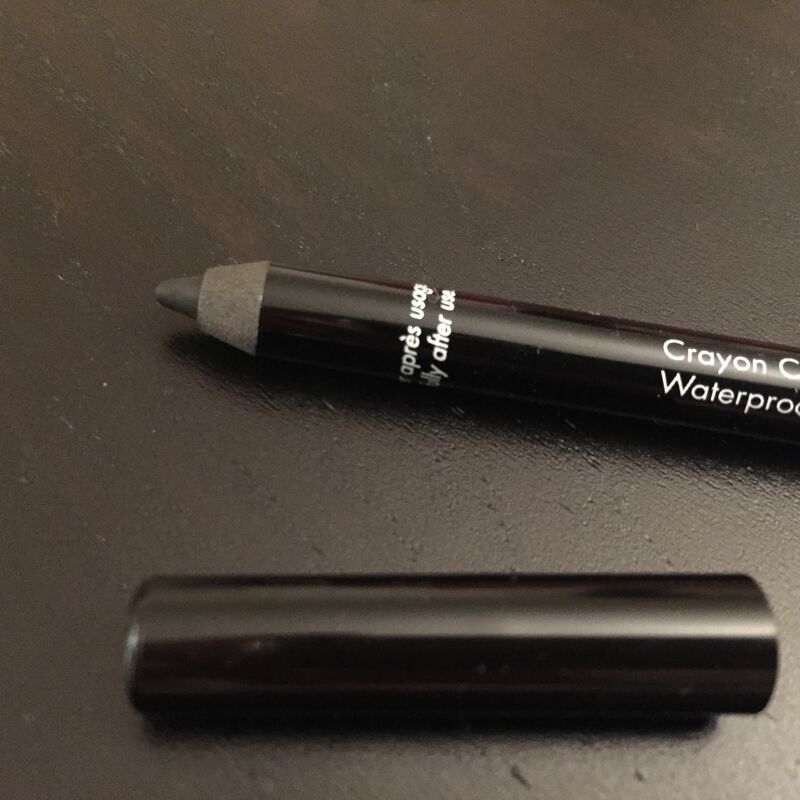 So, basically you can wear this eyeliner everywhere: to the gym, to the pool, even to sauna probably! 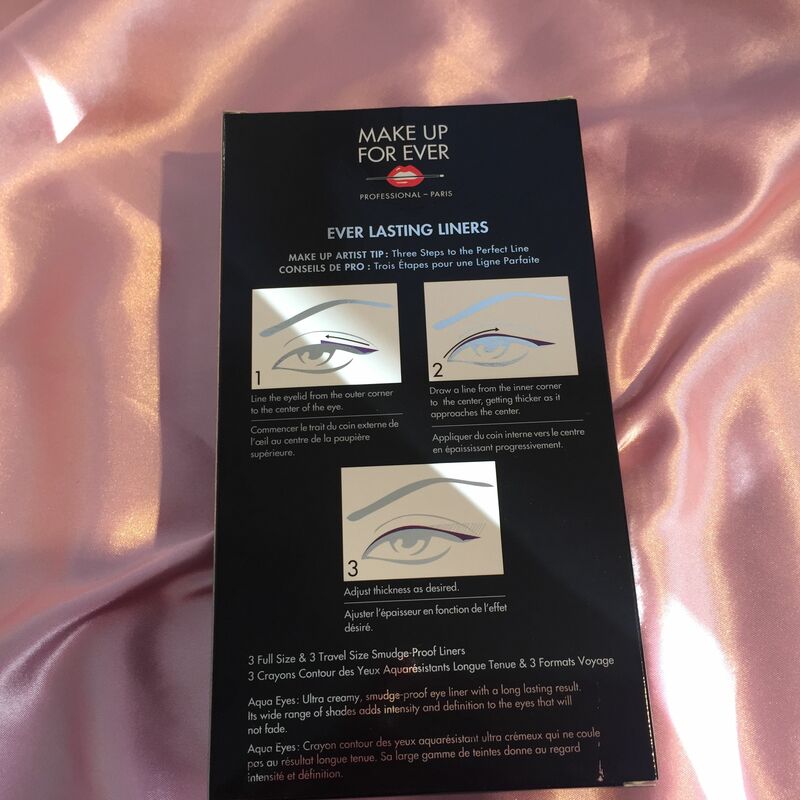 Finally, I never had any irritation when wearing these eyeliners. My conclusion, as you probably guess, is extremely positive: definitely recommend. 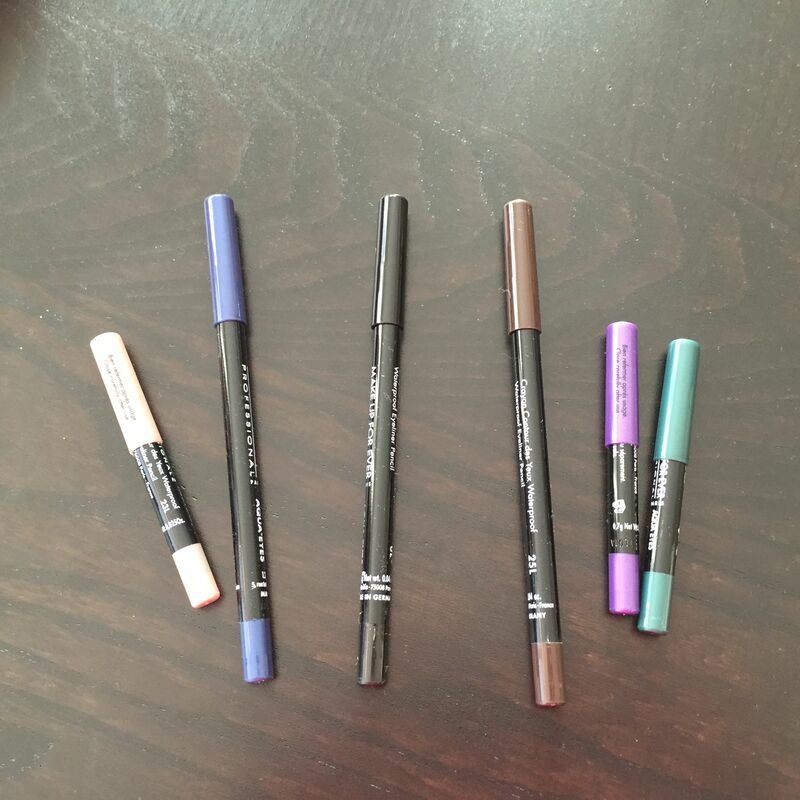 I love these eyeliners for their colors and staying power and I am sure you’ll love it too.